Wondering about rabbit breeds? Read on for our beginner’s guide to rabbits, breeds and varieties. The world of domestic rabbits is immense and diverse, with a long list of breeds, and within those breeds, varieties. From the 2-pound Netherland Dwarf to the 20-pound Flemish Giant, rabbits come in all sizes, shapes and colors. They also have varying temperaments and needs. Currently 49 domestic rabbit breeds are recognized by the American Rabbit Breeders Association, an organization with over 20,000 members worldwide. This group promotes all aspects of the rabbit industry and hosts a national convention each year where rabbit breeders can competitively show their rabbits. To make matters more complex, rabbit enthusiasts continually develop new breeds and color variations through selective breeding practices. “The Netherland Dwarf alone comes in 30 different colors,” Humpheries said. Getting a breed to be officially recognized by ARBA requires a process that includes showing the new breed for three years at the national convention. This demonstrates that the breed has distinct and consistent characteristics that can be passed on from generation to generation. The Lionhead rabbit, for example, was accepted by ARBA as a new breed in 2014. As its name implies, the tiny rabbit — weighing just over 3 pounds — has a distinctive mane of fluffy fur that poofs out all the way around its head. In addition to competing in shows, rabbit breeders raise rabbits as pets, to be cuddled and even walked on harness on leash. Rabbits are also raised for meat, fur or wool. And most breeds are versatile, capable of serving multiple purposes. There’s no single breed of rabbit that makes the ideal pet. In fact, many rabbits that you see for sale at pet stores or up for adoption at animal shelters are considered to be “mutts” or a mixture of breeds. Nevertheless, some types of rabbits are considered to be more desirable pets than others based on their temperament, size and needs. Much of a rabbit’s temperament depends on how it’s treated. Like dogs and cats, rabbits require socialization to be comfortable around people, Cammock said. In addition, some breeds are known to be more docile and friendly, while other breeds have a tendency to be a bit more skittish or high strung. Holland Lops, for example, are considered one of the friendliest breeds. They’re also relatively small, weighing between 2 and 4 pounds. This means they require a smaller cage and less food than some other rabbit breeds, which ups their appeal as a pet. 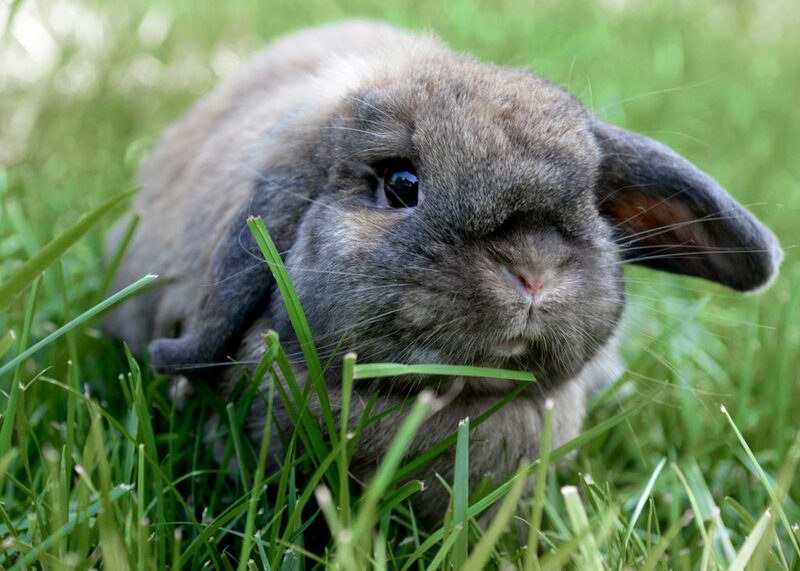 Other popular breeds for beginner pet rabbit owners are the Mini Lop, Mini Rex, Dutch and Polish. All four are small breeds that have reputations of being gentle. That being said, all types of domestic rabbits have the potential of being good pets. Many larger breeds — including the Flemish Giant — are known for being affectionate and easy-going. Other breeds — such as the hare-like Checkered Giant — are more active and need plenty of space to move, which may pair well certain pet owners. When selecting a rabbit for a pet, it’s important to do plenty of research on the breed (or combination of breeds) your considering. National clubs exist for most rabbit breeds and are an excellent source of information. Things to research include the size of cage the rabbit requires, whether or not the rabbit needs to be groomed, and how active the breed tends to be (this will be important if you want to bring it for walks on a harness). Another detail you’ll want to research is whether or not the rabbit can live on a mesh floor, which makes it easier to clean its cage because the rabbit’s droppings will fall through to a tray beneath. Some breeds of rabbits — including many large rabbits — will develop sores on their feet if kept on a wire floor, so they’ll need a solid floor, which requires more cleaning. Certain breeds of rabbits are referred to as “commercial breeds” and are most commonly raised for their meat because they’re large, grow fast and reproduce often. These breeds include the Californian, New Zealand and Champagne d’Argent, all of which weigh between 10 and 12 pounds. Other rabbits raised for meat include some of the world’s largest breeds, including the Flemish Giant. The Flemish giant was exported to America in the early 1890s to help improve the size of meat rabbits during the great “rabbit boom,” a time of increased public interest in raising rabbits throughout the U.S.
Large breeds of rabbits were primarily created for their meat. Though many large breeds make good pets, most people opt for smaller breeds as pets because they require less feed, space and maintenance. “If it wasn’t for the meat end of the rabbit industry, a lot of the big magnificent breeds would simply disappear, “ Cammock said. Other types of rabbit, such as the Rex, are prized for their lush fur. And the four recognized breeds of angora rabbits are raised for their soft wool, which is gathered by combing or sheering. Angora wool has long fibers that can be spun into soft yarn and used in felting. Another rabbit with wool that has become increasingly popular in recent years is the American Fuzzy Lop, which has a wool coat and is known for being particularly sweet tempered, according to ARBA. Just keep in mind, if you choose to own one of these long-haired rabbits, you’ll need to brush and clean their coats regularly. Some particularly striking breeds of rabbits are raised and bred by experienced rabbit owners chiefly for competing in shows. This hobby involves a worldwide community of rabbit enthusiasts, many of which are interested in preserving certain breeds and developing new breeds and color variations. The Belgian Hare, for example, is one of the oldest breeds of domestic rabbits in America. This large, long-legged rabbit was developed in Eastern Europe in the early part of the 18th century through selective breeding of wild and domestic rabbits. Belgian Hares require large enclosures with solid bottoms because they place most of their weight on their muscular back legs which could lead them to develop sores on their feet if standing on a wire floor. In addition, the breed is more apt to get sick than some other breeds, Fuller said. Other long-legged hare-like breeds include the Checkered Giant, English Spot and Rhinelander, all of which require space for exercise. Both the Belgian Hare and Rhinelander are considered to be rare breeds in the U.S. and are on The Livestock Conservancy conservation priority list. Other rare rabbit breeds in the U.S. include but aren’t limited to the Silver Fox, Blanc de Hotot, Beveren, Lilac and Giant Chinchilla. “There’s a big push to increase the popularity of these rare breeds,” Humphries said, adding that ARBA is working to spotlight these breeds at shows. While rare breeds can certainly turn heads, other more common breeds have massive followings at rabbit shows, especially in certain parts of the country. The Havana breed, for example, is currently big in South Central United States. Prized for its silky, mink-like fur, the breed originally came in one color, a rich brown that resembling the color of Havana cigars from Cuba. However this breed now comes in five colors recognized by ARBA. 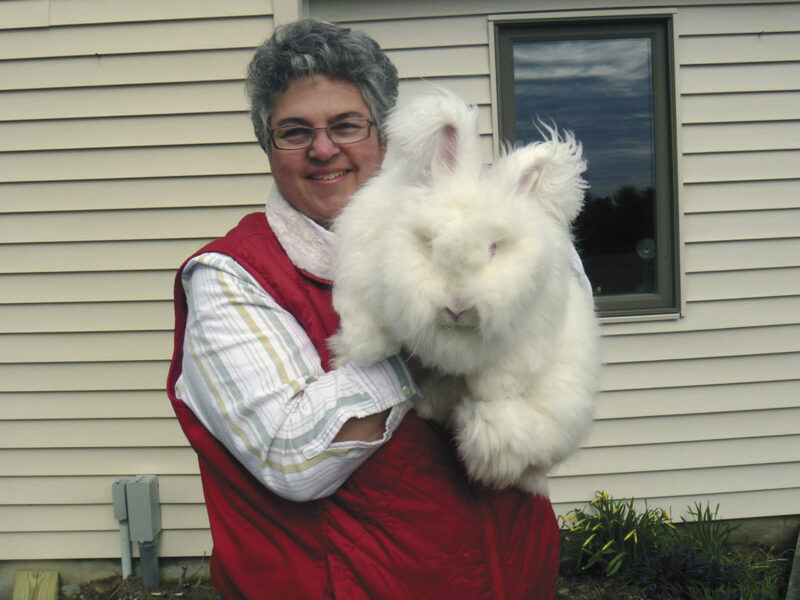 “When it comes to the rabbits on the show table, when the Havana is in prime coat, they’re tough to beat on the ‘Best in Show,’ table,” said Deb Morrison, who breeds award-winning black Havanas at her home in Oklahoma. Vice president of the National Havana Club, Morrison said that she relishes the competition as well as the camaraderie within the club. She prefers having a popular show rabbit to a rare one for that reason. To find more information about rabbit breeds, including groups that specialize in each breed, check out the ARBA website at arba.net.